Former Gov. 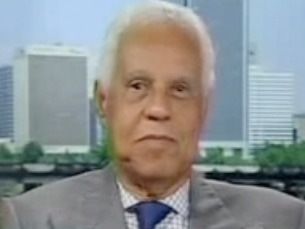 Doug Wilder (D-VA) says President Obama should drop Vice President Joe Biden and run with Hillary Clinton in 2012. Wilder says Joe Biden's "relationship" with the "working class" hasn't paid off because jobs aren't available. Wilder argues that Hillary Clinton would have a better relationship with the working class. Wilder says choosing Clinton is both "change and audacious."